JBL & Roxy: Beauty without quality or guarantee. | De mi cabeza a tus ojos. JBL & Roxy: Beauty without quality or guarantee. 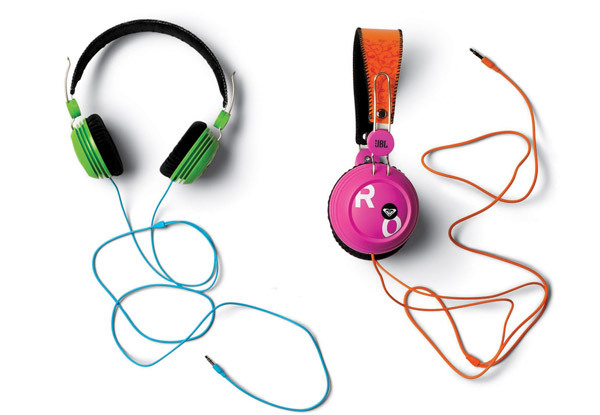 Jbl Roxy headphones are supposed to have the endorsement of both brands, big brands. Its a very appealing product, with an attractive design, which makes it perfect for gifts, except for the not so tiny detail that if you don’t bring the recepit you can’t access the warranty. And that makes me wonder: Who on earth gives a gift with a purchase ticket? At home they taught me that you should ALWAYS, as rule #1 take away the price tag from a gift, because is not well seen to gift and show how much you paid. Either Jbl & Roxy don’t see their product as a gift prospect, or they don’t have the minimum amount of courtesy in gift giving, or they just don’t care about their clients. Either way we, their consumers, are not in a good position. In my case the beautiful product was a gift for my 25th birthday from my brother and sister in law. Since it was a gift i didn’t receive the receipt with it. I kept the box and every single paper inside of it just in case I needed the warranty, but none of it seems to matter. As someone who studied and works in branding and communication I know the value of a happy client, something that I was until my headphones stopped working. I lost half an hour of my morning waiting for someone from their customer service to pick up the phone, to find out that just because Jbl & Roxy didn’t picture this scenario in their minds. Less than 5 months after I got the product in my hands, seems like i will have no headphones at all. My personal recommendation: don’t buy this product, they are pretty, but a brand that doesn’t know how to help their clients shouldn’t get their money and in my case, they will definitely not have me as a brand lover. In case you are wondering: the product had a false contact that makes one of the sides soundless and the other intermittent, which leaves in evidence a production error that some other brands with a client satisfaction focus would have solved and even apologized for the inconvenience. Por qué ta en inglés?